The Travisano collection, by MARAZZI, is a porcelain tile designed as a re-interpretation of classic travertine. The realistic natural stone look is achieved through a beautifully crafted surface, coupled with the latest in technological advances in tile, known as ink jet printing. This technology allows for the most realistic re-creation of authentic, ever-changing fissures and striations of luxurious travertine stone. This collection offers a wide variety of sizes, including this 6 in. x 6 in. Trevi floor/wall tile that has become sought-after for residential and commercial settings. The collection also includes an assortment of trim and mosaics, simplifying the design and selection process. 10.12 square feet, 44 pieces per case. Case weight is 37.4 lbs. 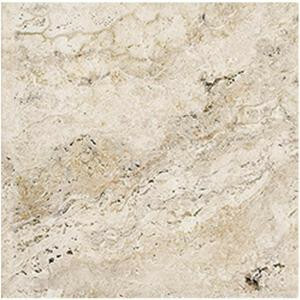 Buy online MARAZZI Travisano Trevi 6 in. x 6 in. Porcelain Floor and Wall Tile (10.12 sq. ft. / case) ULNJ, leave review and share Your friends.